It starts with fully matured Maker’s Mark® straight out of the barrel. But then it takes a bold twist. We add seared French Oak staves to the barrel, and then finish it a bit longer in our cool aging cellar. The result is a whisky with bolder, more complex flavors, but one whose every sip delivers the smooth, approachable whisky that Maker’s Mark® is famous for. 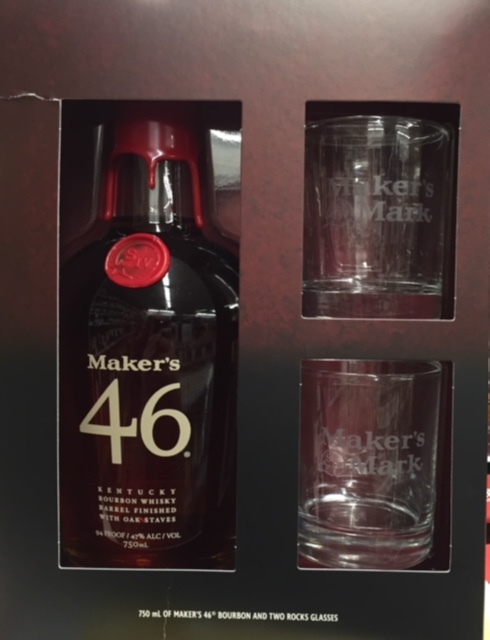 Fully matured Maker’s Mark®, barrel finished with oak staves. Intense flavors; a big crescendo of wood blending perfectly with deep, complex and rich notes of vanilla and caramel Signature Maker’s Mark® deliciously smooth finish. Made slowly in small batches at our historic distillery in Loretto, Kentucky Each bottle is hand dipped in our signature red wax Perfect for sipping neat or on the rocks. Our unique barrel finishing process creates more complex flavors-while eliminating the bitterness that usually comes with whiskies that are aged longer. Bold and complex, but as approachable and easy to drink as you’d expect from Maker’s Mark®.